New Years Sale You Won’t Want to Miss! As 2019 begins we are preparing to say goodbye to some fabulous fixtures, lamps and mirrors and say hello to some great new fashionable items. It’s always a great benefit to our customers to be able to take advantage of our new years sale. 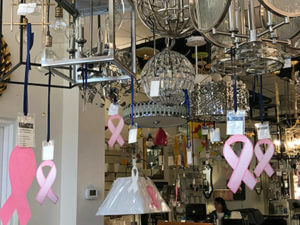 Many of our items are wearing pink ribbons indicating they are ready to find a new home-your home. 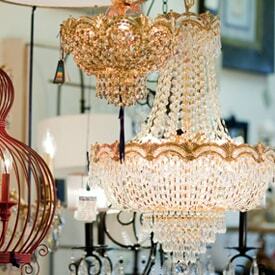 Until January 31st we will have select mirrors, lamps, shades, fixtures and fans on sale for up to 50% off! 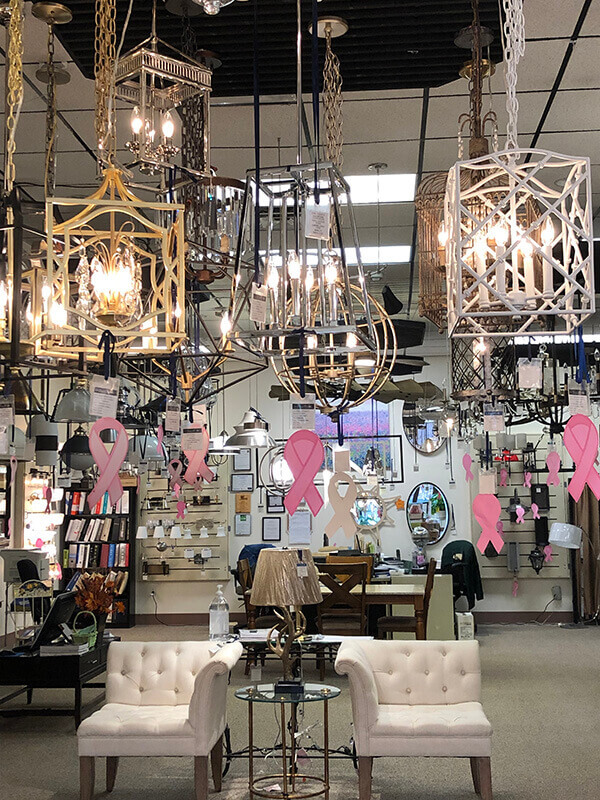 Our Outlet Store in Ruckersville, Lights Out, will offer 50% off sales! Choosing the right lighting is so important. While cuddling on the sofa with a good book during these cold months, make sure you have proper lighting for reading or working puzzles. Lighting needs to work for you, whether you need it to provide ambient lighting, task lighting or accent lighting, it is most important it helps you enjoy your home and your lifestyle. 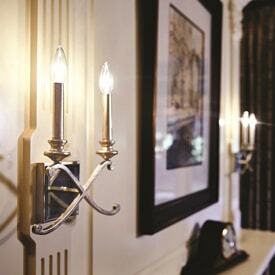 – Ambient lighting is overall lighting in a room. 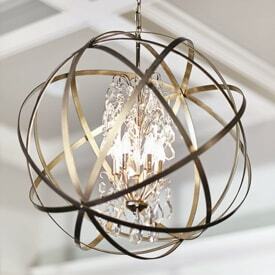 It can include pendants, track, sconces or chandeliers. – Task lighting is used for highlighting workspace or to enable lighting for reading. It needs to be brighter than ambient lighting such as under cabinet or desk lighting. – Accent lighting is exactly what it means. This lighting is used to highlight or accent art, bookcases and objects you want to be made more visible or bring attention to. Not only is accent lighting for the inside of your home but is also used for lighting your landscape, trees, sidewalks and paths. 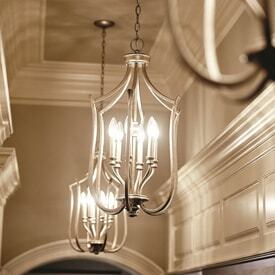 Come in and let us help you with any of your lighting needs and enjoy the great values we are offering. We also have an outlet store, Lights Out in Ruckersville, with sales on select items up to 75% off!! Just as the word “outlet” implies, you will find some fantastic deals there.